Turns out there were PLENTY of spots open in the main campground and at an especially good price of $30 a night for water and electric hookups at each site. 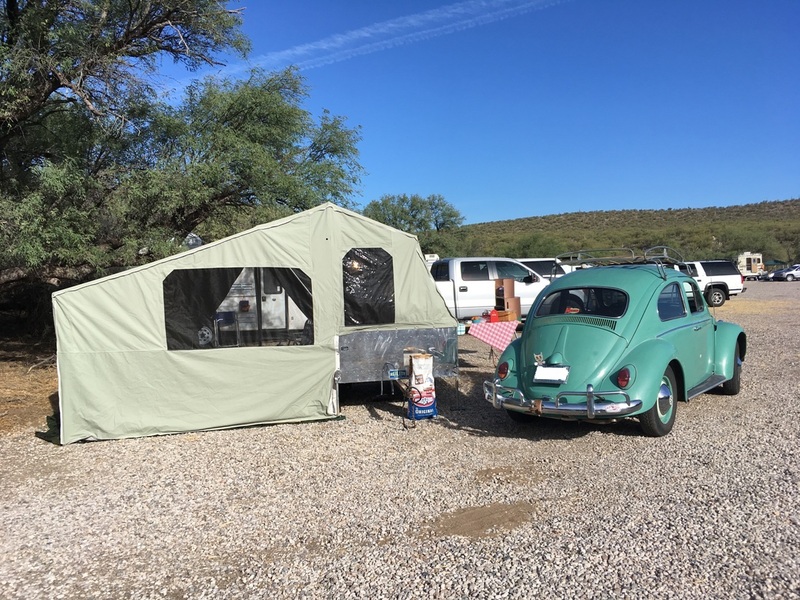 We booked one and waited impatiently for our first desert camping excursion for the Arizona “winter” season and our first teardrop or vintage trailer event in quite a while. Well, that weekend of Oct. 19-22, 2017, has now come and gone, and we are so happy we made the trip. 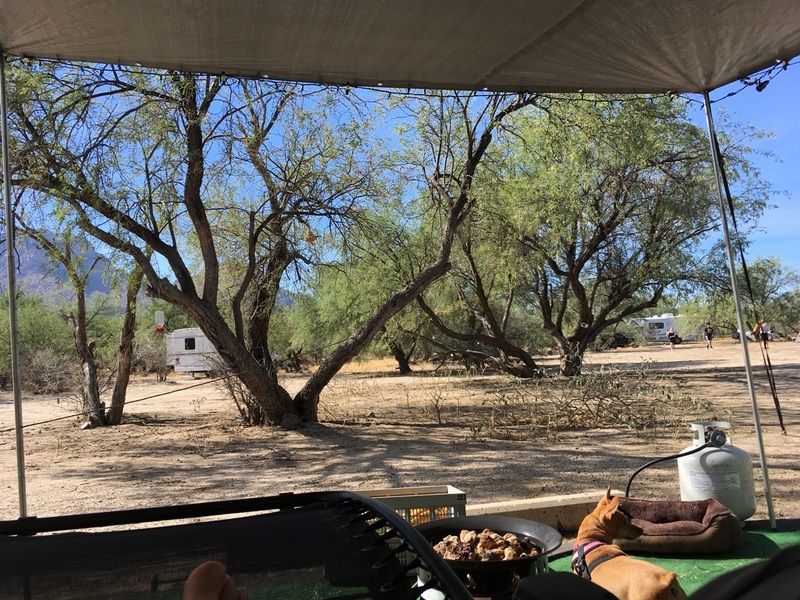 Campgrounds in the desert can seem a bit stark, but this one had sites with quite a few mesquite trees that, to my surprise, offered a decent amount of shade. The dilemma here was to pick either a site with shady mesquite trees or one devoid of trees but with an awesome panoramic view of a picturesque mountain range. We had booked ahead of time, so didn’t know for sure what we should expect, but turns out, our site had a bit of both. And we were happy to find that sites in Loop A were spread apart well enough that we weren’t right on top of our neighbors. Nearby trails showed off just how much in the way of foliage and mountain views Catalina State Park had to offer. After setting up camp with extra tarps to block the sun during days of low-to-mid-90-degree temps, we took a drive down the road to pop in on our trailer peeps in the group areas. The AZ ROUND UP group had hosted the weekend’s event and already had the place decked out ghoulishly well for Halloween. Since folks weren’t ready yet for the public viewing of trailers, we located a few old acquaintances and chatted for a while, then went back in the evening to visit again. And I’m so glad we did. Folks at these vintage and teardrop trailer events are always so friendly. The ‘vintage’ folks (whether with large vintage trailers or small vintage teardrops) are always lighthearted and colorful. It’s all about the fun of decorating [adorning] the rigs with antique antics and nostalgic nuances. And the non-vintage teardrop folks are almost always folks who had a deep love for old-school camping but just couldn’t cut sleeping in a tent anymore. This guy seemed to be stuck somewhere in the middle, pulling a trailer that folds out to a tent! Occasionally, we also run into folks who managed to skip the tenting scene altogether in their lives but then awoke to camping specifically BECAUSE of the unique benefits a teardrop trailer offers. And then there are the non-vintage teardrop folks who’ve built their own teardrop trailer, like we did. Oh, we just love seeing what folks have built with their own hands and some from their extremely gifted imaginations. 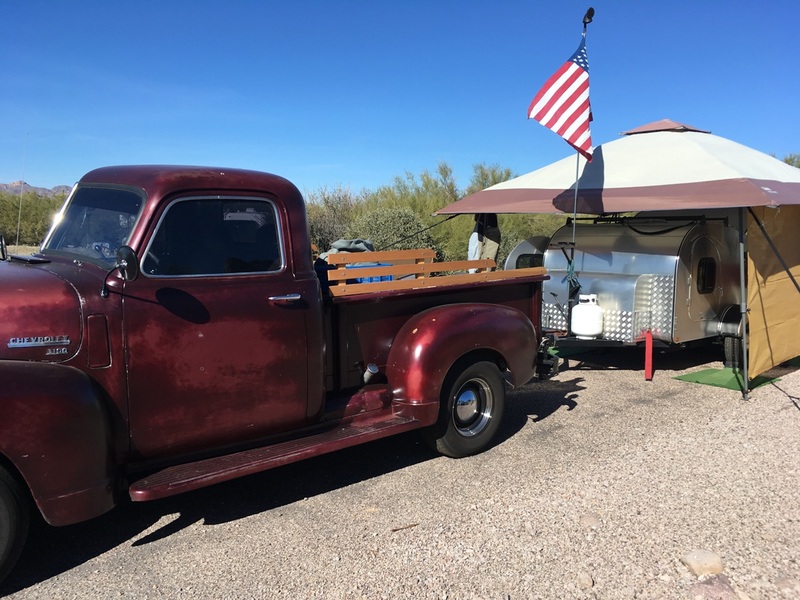 Since Mark is [mostly] finished rebuilding our 1950 Chevy 3100 pickup-truck, we’ve been pairing it with our home-built teardrop trailer so we can break the Chevy into our camping lifestyle and give the PT Cruiser a much-needed rest. The new combination of contemporary vintage truck with contemporary vintage teardrop is quite the hit. We get twice as many honks and thumbs-up on the road vs. with the PT. I guess there’s not much to criticize when it comes to ANY rig setup we, or anyone else, might put together to go camping. I mean, WE’RE CAMPING! What more could we possibly want or need? WHEN: Desert camping is tough anywhere from June to October with 90+ temps the norm, so if tent camping or dry camping with a teardrop or larger trailer, stick with NOVEMBER through MAY at Catalina and any other desert campground. – Quite a few GROUP SITES available distanced a bit from regular sites at Loops A and B. NO GENERATORS allowed in electric hookup areas (Loop A and B)! This is peace and quiet camping. – Well spaced sites in Loop A (some pull-throughs). Lots of well-spaced sites in Loop B as well and plenty of pull-throughs for the largest rigs. – Wi-Fi in Loop B. – SUPER CLEAN RESTROOMS with FREE hot showers. 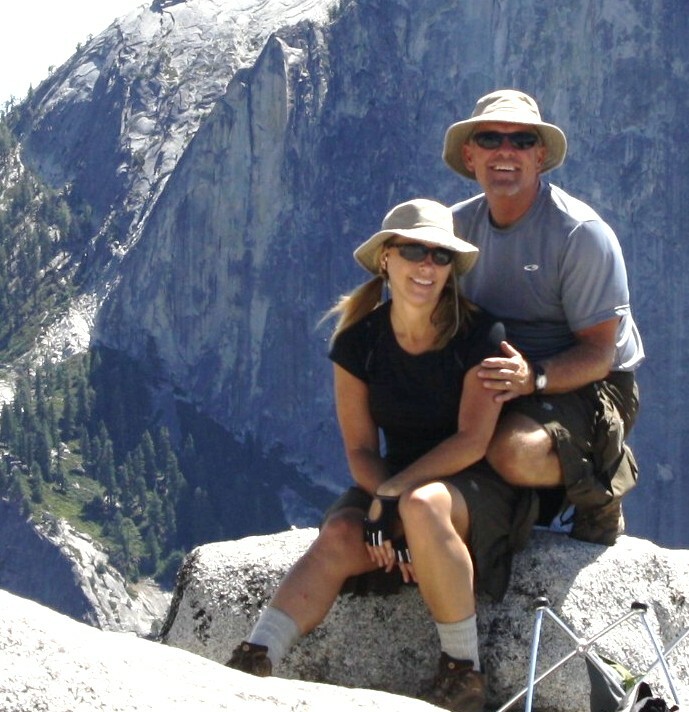 – TONS of hiking trails. – Coyotes singing and crying all night long. Expect to see long-horned sheep on the upper trails. – Shopping options FIVE MINUTES AWAY (Walmart and others) and yet, this campground feels in every way like you are FAR AWAY FROM IT ALL.